Step 1: go to Settings > General > Profiles and devices. Here you’ll see that the TutuApp certificate no longer appears which means that it’s not valid any more. Step 2: delete TutuApp from your device as well as all the applications you’ve downloaded using it. Step 3: now open your browser and visit http://tutuapp.vip and click on the Regular tab which will allow you to download the free version. Remember that this application offers an annual paid subscription that allows us to make the most of its functions without adverts. 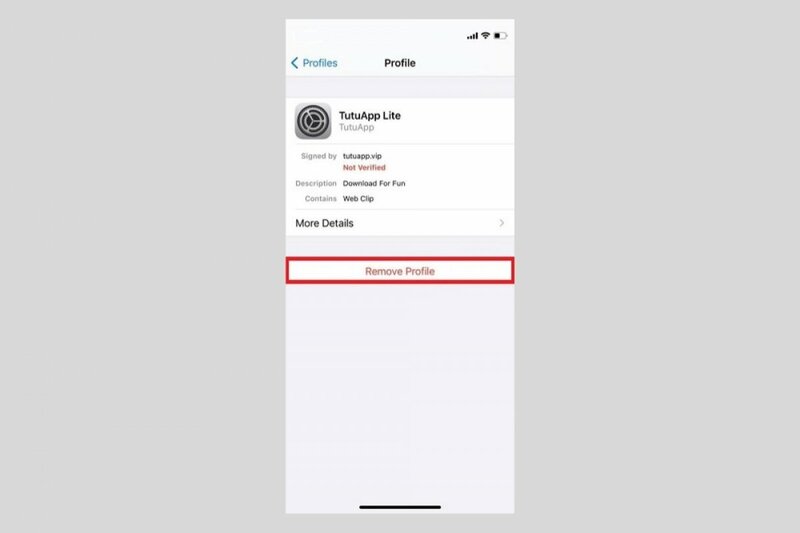 Step 4: click on the button to download the app and once downloaded go back to Settings > General > Profiles and devices and mark the developer as trustworthy. You can now continue using the app as usual although you might not see all your applications available. You’ll have to wait for them to be displayed gradually. As you can see, it’s all about uninstalling and reinstalling the app. That’s because its developers have to update it to avoid the permission revoke on behalf of Apple. This whole procedure must be carried out manually as it doesn’t depend on the App Store.